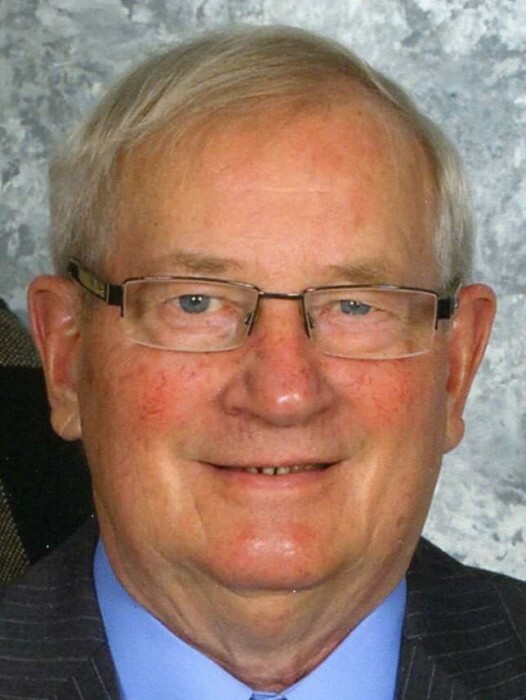 Joseph J. Schlicht, age 81 of New Lisbon died on Wednesday April 10, 2019 at the Serenity House in Tomah, WI. Joe was the son of John G. and Mathilda D. (Dvorak) Schlicht and was born on December 5, 1937 on the family farm in the town of Fountain in Juneau County. Joe was raised in the New Lisbon area and was a 1956 graduate of the New Lisbon High School. After school Joe went to Janesville to work at General Motors Assembly Plant. Joe was united in marriage to Shirley M. Davies on December 31, 1960 at the Little Brown Church in Iowa. Joe and Shirley remained in Janesville and raised their family there for 40 years, moving back to New Lisbon in 1997 in retirement. Joe was an avid hunter, enjoyed fishing and spending time outdoors. At home he spent time watching sports, mostly football and baseball. Joe is survived by his wife Shirley of New Lisbon, a daughter Linda (Ronald) Boudrot of Frisco, TX, a son Randall (Debi) Schlicht of Mt. Pleasant, WI, 3 sisters Marge Tremain of Mauston, Beverly Jean (Eugene) Crawford of Janesville, WI, Dorothy Stickney of Big Lake, MN, a sister-in-law Janet Schlicht of Mauston, WI, Grandchildren Evan Schlicht, Madeline Boudrot, Claire Boudrot, and step-grandchildren Jacob (Miranda) Boudrot and Danielle Boudrot. He is further survived by 3 brothers-in-law, David (Harriet) Davies, Robert (Linda) Davies, William (Linda) Davies, and by a sister-in-law Bonnie (Gary) Robison. And by many nieces and nephews, other relatives and many friends. Joe is preceded in death by his parents, 3 brothers Marvin (Jeanine) Schlicht, Gustav Schlicht, David Schlicht, brother-in-laws, Ronald Tremain, and James Stickney. A memorial service will be held on Saturday April 13, 2019 at 12:00p.m. at the Hare Funeral Home (217 W. Pearl St.) New Lisbon, WI. Rev Jeff Ruetten will preside. Relatives and friends are invited to a visitation at the Hare Funeral Home from 10:00a.m. until the time of service. Inurnment will take place at a later date in the New Lisbon City Cemetery. Online condolences are available at www.harefuneralhome.com.